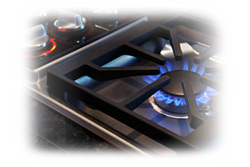 Quick Appliance Inc has been Tallahassee's choice for professional appliance repairs since 1982. Our trained, professional technicians ensure you get the advice and repairs on your home appliance that you need. Our customer service is second to none. With years experience in the major home appliance service industry, we can diagnose your appliance problems fast and at a savings. Most parts are carried on our repair vehicles so in many cases we can repair your appliance in one trip.